I am so excited, we are planning our first family road trip! We are also going all-in and planning to camp as long as weather conditions are bearable! Andy and I have never camped together, and he isn't really the boy scout type, so I am not even sure we will figure out how to get our tent up! The entire thing will be a learning experience. The great thing about us, is that we don't really need to think things through, we just kind of go for it. I can't imagine over-thinking it, I really think that most things that you plan with kids in tow are better if you are open to options. The thought that it is likely that things won't go as planned. I have no doubt that it will be anything but wonderful. Keeping the boys busy in the car is something that we are most concerned about. Sure, we love all kind of word association games, but this isn't the typical 15 minute drive in town, this is a long car ride with a baby who screams 10 minutes into any car ride. It will be a great task to keep their hands off of one another! I am thinking lots of great songs and car activities! 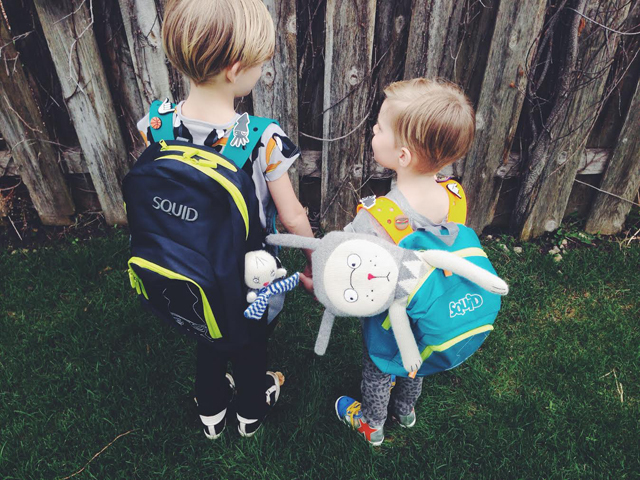 I was pretty thrilled when I came across these cute backpacks called Squidpacks! 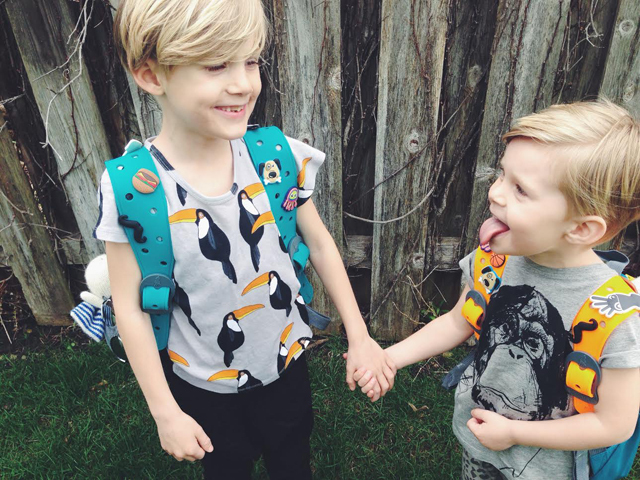 We really have been trying hard to teach the boys to be responsible for their own things, and so getting them packs that they were excited about was a huge relief! They're going to be so great on our trip for the boys! This way they can choose a handful of things to pack for the trip and they will be solely responsible for making sure their Squidpack is along. I actually didn't realize, until they arrived, that the inside is so easy to clean and is spill resistant which comes in handy for kids like Brinley who are a little more apt to forget to tighten the lid of his water bottle or put a cover back on his marker! The little changeable straps are such a fun little detail, I was thrilled with the idea of the straps on our packs having charms that you can add (it is like brilliant revelation that finally got me out of having to buy crocs for the purpose of their charms) now we have squid charms which are incredibly addicting and totally make the packs more exciting for the kids!! 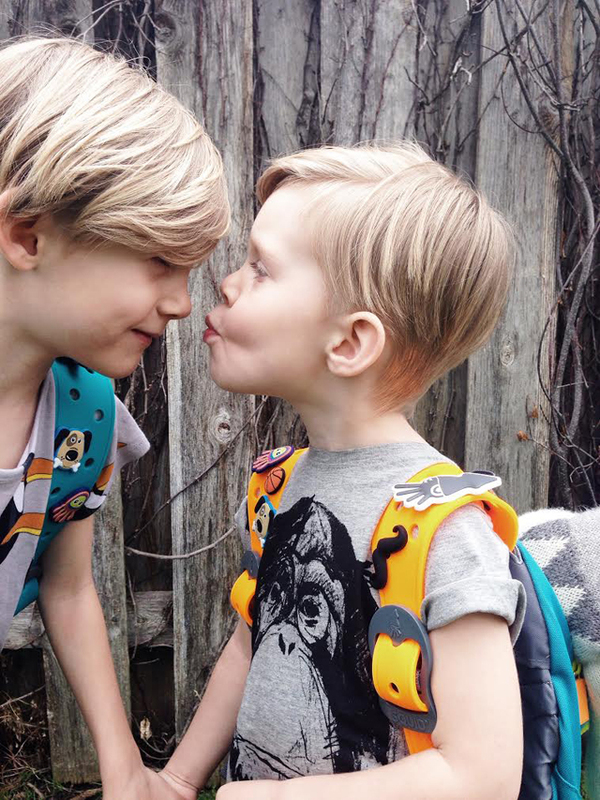 The boys loved picking out their own combos you can find the packs here and the straps here and the charms here! We are really trying to focus on creating memories and being active with our kids this summer. 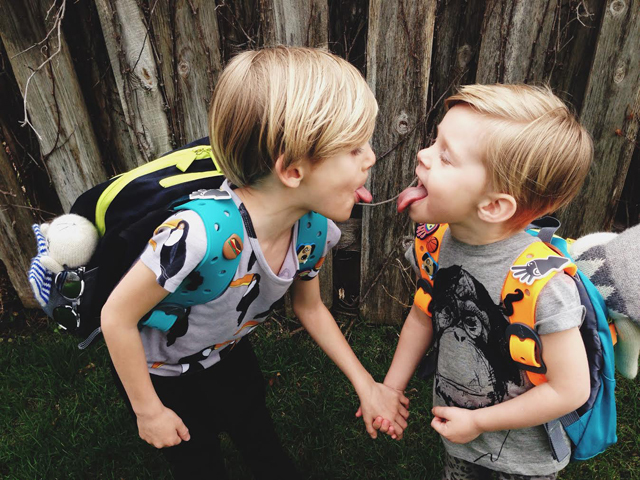 We want their childhood to be full of adventure. We have really started to emphasize the need to be active as a family and I love seeing us all enjoy things together. 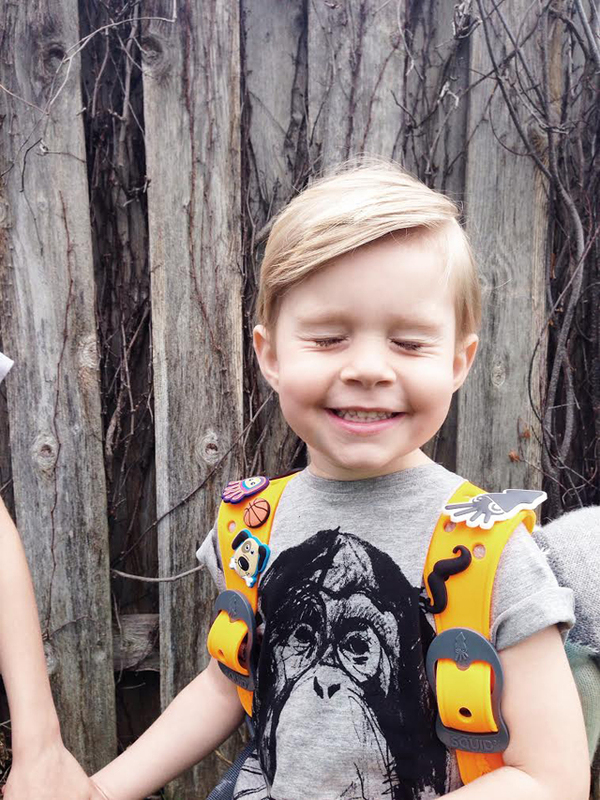 It is fun to find products like these backpacks that add some extra fun and excitement into the planning and I can see so many uses for them over the course of the summer! 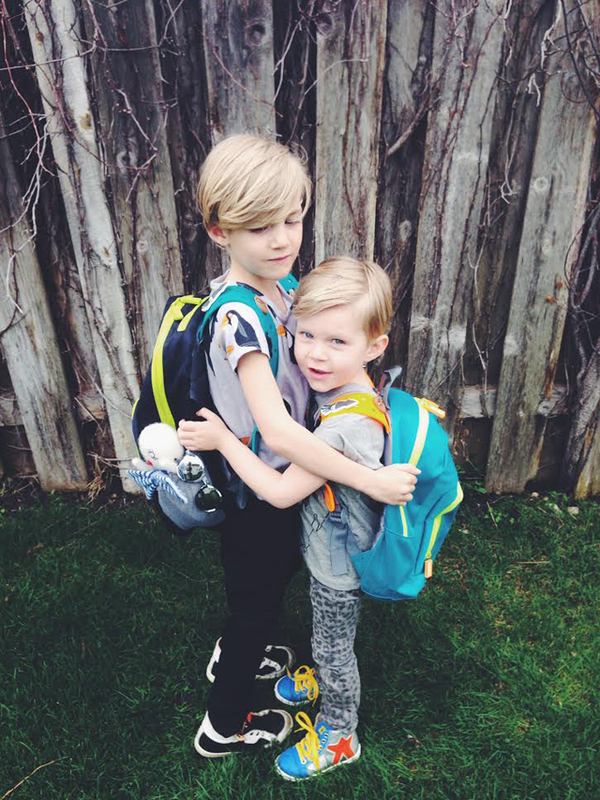 I can't wait to fill their packs with some fun roadtrip surprises like a headlamp, a disposable camera, their own band aids, and some fun travel games! Such a cute and fun concept! 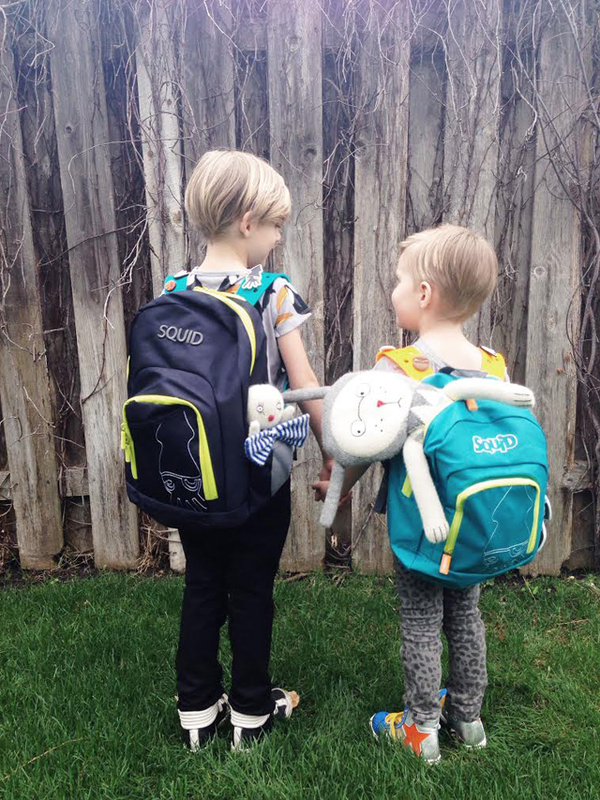 Beware the first day you wear your squidpack to school you may get swarmed in the coat room with kids oogling it. Yes, I suppose the charms could become game for trade if your friends are cool enough to get on board with a squidpack! 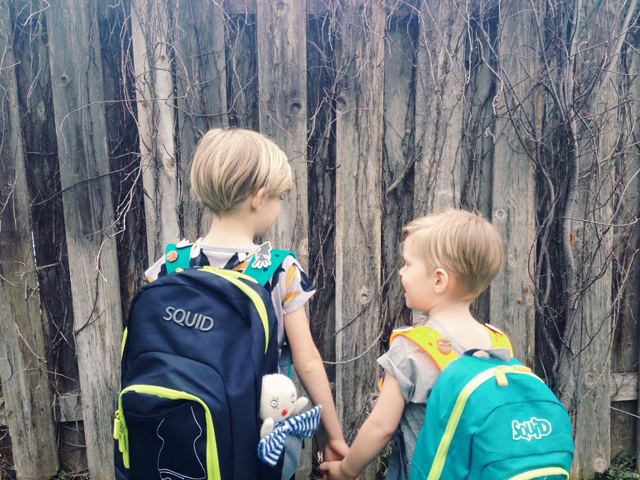 You can find squidpacks here or follow along on instagram and facebook or pinterest to see how others are mixing up their packs!